Written by Australian authors Judy Higgins and Betty Rea. This is the first Australian book on Budgerigars published in 27 years. 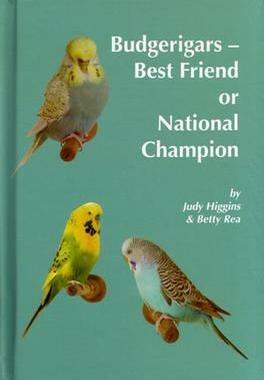 The book offers information on how to breed some of the rare varieties of Budgerigars. It cover many aspects of breeding and keeping Budgerigars as pets and breeding for the show bench, with 210 pages containing colour pictures of most varieties. The book has had many great reviews, here and overseas. It has been quoted in England as the “Budgie Bible” (See review here). This book has a hard cover with sown sections. This is a great reference book, which will last for many years.